One of the biggest risks to any business is that a former employee either is or will become disgruntled and seek a way to lash out at the prior employer, either through threats, lawsuits, online defamation, false reports of discrimination or harassment, or false claims of illegal activity at the company. Whether the end of the employment relationship is instituted by the employer or the employee, and regardless of the employee’s seeming mood at the time of his or her departure, things can turn ugly quickly. 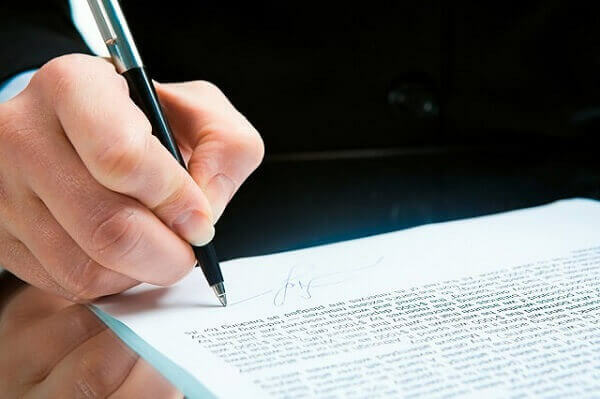 While this article provides some general guidance, you should always seek legal guidance before preparing a severance agreement or even negotiating one. Purpose. One method to attempt to avoid ongoing conflict with the departing employee is to offer a severance agreement. Such an agreement, like any other contract, has benefits and costs for both sides. On the employer side, the cost is usually a monetary payment, perhaps in conjunction with a non-disparagement clause and an agreement regarding benefits, either unemployment or those provided by the company to its employees. The benefit is that the employee agrees not to sue the company, not to violate any terms of their employment contract, and not to defame or disparage the company in any way. WHEREAS, the Parties each represent and warrant that the above recitals are true and correct and are made a part of an incorporated into this Agreement for all purposes. Mutual Release. The most important provision to include in a severance agreement from the company’s perspective is a full and complete release of all legal claims against the company that are allowed to be so released by federal or state law. The release should specifically state that the employee received good and valuable consideration for releasing these claims and name as many specific types of claims as possible, while noting that the release includes but is not limited to these types of claims. Common claims to list in the release, in addition to discrimination claims, are wrongful discharge, breach of contract, personal injury, worker’s compensation, equal pay, and other contract and tort claims. The agreement may also provide that the person will not cooperate with any other employee in a private action against the company, voluntarily join any class action or institute a False Claims Act case. The latter, the False Claims Act action is among the most powerful claims an “insider” like a former employee can bring. Whether the allegations are true or false, the business owners, if not careful and well advised, may find themselves in year-long battles against the former employee acting with and on behalf of the United States federal government. Integral Parts. Other common provisions that you may wish to include in a severance agreement include a date of termination, that the departure is voluntary, that neither side admits any liability, and that the agreement and all of its terms, including the amount of any severance payment, are voluntary. In addition, you may wish to include an agreement that the employee has returned or will return all company property, that the employee will not defame or disparage the company, and that the employee will not use or disclose any confidential information he or she received as a result of their employment. Finally, because you are asking the employee to release legal claims he or she may have against the company, you should include language that all such waivers are knowing and voluntary and that the employee had the opportunity to have the entire severance agreement reviewed by an attorney of their own choosing prior to agreeing to the terms and signing the document. Enforceability. Note that there are some provisions that you might wish to include in a severance agreement that are unenforceable. Some of these provisions could make the entire agreement void or voidable, leaving the employer out the severance payment with no valid protection from unfavorable actions by the employee. Others could even reflect poorly on the employer, as a federal investigator or plaintiff’s attorney might view the attempt to include such provisions as an admission of guilt or an attempt by the company or its human resources department to hide illicit activities at the company. In addition, the factual circumstances regarding the employment relationship are a crucially important element in drafting a valid, enforceable agreement. Finally, federal and state laws impact the clauses that can and cannot be included in a severance agreement. Restrictions. First, as noted, some things cannot be contracted away by the employee. One of the most common requests by employers is to stop the employee from reporting any negative information about them to the federal, state, or local government, or even making public statements about the company in any forum. Typically, such prior restraints on speech to the government are unenforceable. For example, you cannot require your employee to give up their right to report discrimination to the EEOC or to refuse to cooperate with any EEOC investigation. The employee can, however, agree not to file a discrimination lawsuit against the company and/or agree that he or she has not been discriminated against in any way. Such an agreement can make a later complaint harder to sustain. Note that special rules apply if the company is asking an employee who is forty or older to waive age discrimination claims. The statutory scheme for age discrimination has very specific requirements for the language of the waiver and rules for its enforceability that are different from those applicable to other types of discrimination. Reporting Crimes. Further, a company cannot require or ask a former employee not to report suspected crimes or fraud that occurred during their tenure or require them not to speak to law enforcement agents. But a severance agreement may include a statement by the employee that he or she is either not aware of any illegal activity or that such activity was reported to the employer at the time the employee became aware of it. Again, such a statement helps protect against an employee who decides weeks, months, or even years after their employment ends that they want to cause economic or other damage to the company by trying to retaliate against them for their perceived unfair treatment. As you can see, there are many considerations in preparing a valid and enforceable severance agreement. If you need help negotiating or drafting a severance agreement with an employee who has either resigned voluntarily or is being laid off or terminated, you need experienced, qualified legal advice from attorneys with experience handling the end of employment relationships. The attorneys at Oberheiden, P.C. can assist you with transitioning an employee to a former employee while lessening the chances that the employee will turn negative or litigious. All initial consultations are free and completely confidential. Call one of us today. When you hire us, you will not work with paralegals or junior lawyers. Each lawyer in our Healthcare Practice Group has handled at least one hundred (100) matters in the healthcare industry. So, when you call, you can expect a lawyer that immediately connects with your concerns and who brings in a wealth of experience and competence.